Did you throw some flow to support the soundscapers' dream? They'll thank you. They'll play for you. They may even cook ya dinner. Anyone who's seen prog-jam outfit GNOSiS live, in Erie or elsewhere, knows they bring the mind-melt on every time they hit a stage. 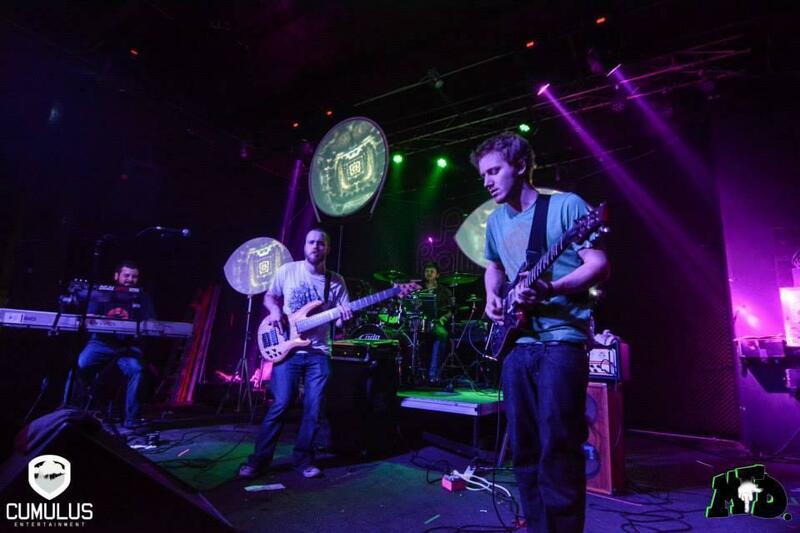 They've been at it a little while now, winning accolades like the 2014 Rock Erie Music Awards' 'Best Jam Band,' and sharing stages with other stellar groove collectives including Broccoli Samurai, Heavy Pets, Aqueous, TAUK, Pigeons Playing Ping-Pong and Jimkata. And that list keeps growing as their live setlists keep going further in to far-out spaces. GNOSiS' musical goal, in short, is to allow their listeners to zone in to that space, bassist Ethan Pieper told me recently, and "have their senses blasted." That's good work, in my book, and well worth supporting. Lately, GNOSiS has been hard at work on a next step in their journey: Getting into the studio to capture their essence in album form, and they've launched a fundraising campaign through Indiegogo to help make it happen. So far, it seems the response has been overwhelmingly positive, with the band hitting and just exceeding its minimum goal of $2,000 with (as of this writing) 23 days still to go before the crowd-funding campaign's end. That means that this spring, they'll be able to enter Ohio-based producer Jonathan Beveridge's Walking and Chewing Gum studios and start recording. "Wow!," the band wrote in a recent update at its Indiegogo campaign's page. "We're so blessed to have the love and support to help us reach our next big goals." Now that the basic goal's been reached, GNOSiS has come up with a set of 'stretch' goals that any further funds raised will go towards. According to the band, the money could be stretched for everything from little stuff like new GNOSiS merchandise to (depending on the amount raised) big stuff like a touring trailer they can use to get around to wherever they're getting down. And they're paying the love back with all kinds of perks, from free music and cool GNOSiS swag to private house parties and, yep, even coming over to cook you dinner. Check out indiegogo.com for more information about what the campaign is, how it works, and how you, if you so choose, can support it. Writer/photographer Ryan Smith loves great local music, cool band T-shirts, and dinner. He can be contacted at rSmith@ErieReader.com, and you can follow him on Twitter @RyanSmithPlens.